Yolo County childcare centers come in sizes, costs, and programs to fit all budgets and preferences. We know that parents are busy but that selecting the right daycare center or preschool is crucial. So we’ve gathered basic information for 100 child care centers in Yolo County into a single location so that you are only a click away from basic information such as address, size, and licensing information that can help you refine your search. 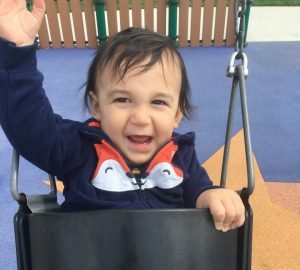 Offered in English, Spanish in Russian at Yolo County Libraries and focuses on Enhancing early learning by encouraging literacy and socialization. Davis, Yolo, West Sac, Winters, Esparto, Woodland, and Clarksburg. Provides free developmental screening for children newborn to age 5. Call 844-410-GROW or visit HelpMeGrowYolo.org to find out resources near you. A comprehensive resource for new and expecting parents. Kits are customized for Yolo County residents to include local information on services and resources. Kits are available in both English and Spanish. Toddlers need physical activity everyday and a park offers chances to run, climb, and play with other children. Make sure you know California car seat laws. 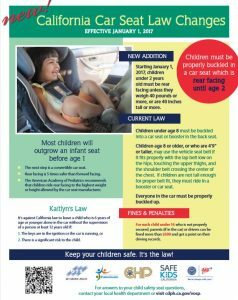 As of January 1, 2017 in California, children under the age of 2 must be rear facing unless they weigh 40 lbs or more, or are 40 inches tall or more. For various language versions please click on the language of your choosing; Spanish, Russian, Punjabi. To learn more about Yolo County Car Seat Safety Program or make an appointment to check your car seat, call (530)666-8715 or e-mail Yolo.CarSeats@yolocounty.org. Although the National Highway Traffic Safety Commission has the national laws for car seat safety, they have a lot of great tips on car seat safety, picking the car seat, installation and various other tips. Yolo County Children’s Alliance has created a tip sheet regarding what are the types of child abuse and neglect and how to report it. 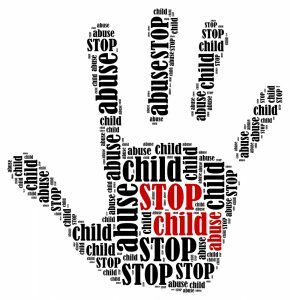 Childhelp National Child Abuse Hotline: 1-800-4-A-CHILD (1-800-422-4453) is available 24/7 and in 200 languages, the hotline offers crisis intervention, information, literature, and referrals to thousands of emergency, social service, and support resources. All calls are confidential. Call Yolo County Child Welfare Services at 530-669-2345 or 1-888-400-0022 if you suspect that a child is being abused or neglected. Cerebral Palsy is a neurological condition affecting muscle coordination. In most cases, cerebral palsy is caused by brain damage that develops while the baby is still in utero or during or shortly after birth. Comprehensive information about cerebral palsy and other developmental disabilities can be found at cerebralpalsyguidance.com. An online resource for anyone who has been affected by cerebral palsy, brain injuries, or birth injuries.